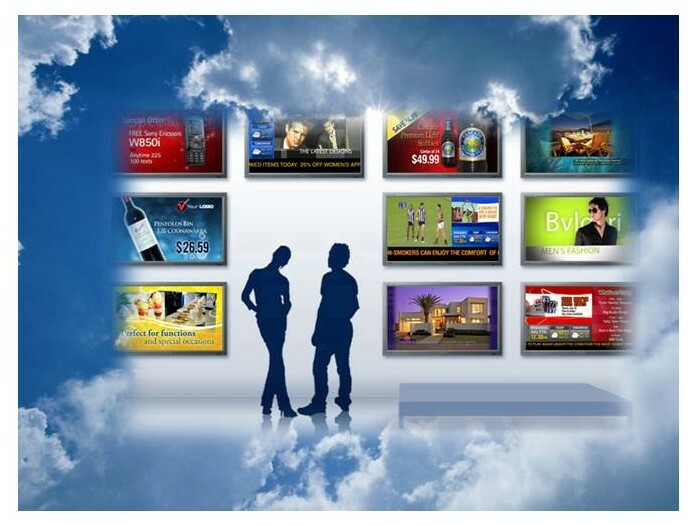 In 2014 we are offering Digital Signage - for advertising your Menu's, special offers, or just to offer live TV or product videos all integrated into a bespoke package to show at your business premises. from 1 screen to 1000 all can show different media / pages! you choose! We can configure your current setup, or Supply and Install a complete new system that can be updated by us, or by you remotely from the comfort of your home or office. 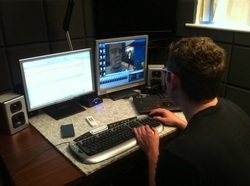 We have temporarily turned our VO studio into an audio tracklay and mixing suite for an up coming BBC 4 project . Look at Alex Working Away! Dual Screen Rain Recording PC (Win 7), Custom Keyboard, SSL Soundscape DAW System and awesome Bluesky EXO II 2.1 speakers..
in preparation of Sustrans move into the 5th Floor of Colston Tower in the centre of bristol. 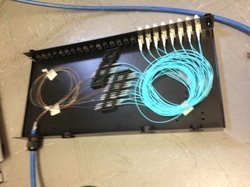 The Team - Chris, Matt & Alex were responsible for wiring, installing & testing 112 Cat 5e data points all completed 1 day before their required deadline. While we were working there Matt had to leave early as his girlfriend was going into Labour! Congratulations Matt! Studio 1 gains a Behringer Xenyx 1 USB controller supplied by us. 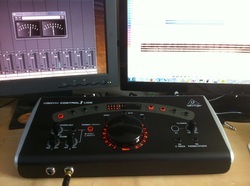 We can help with ALL Behringer products. 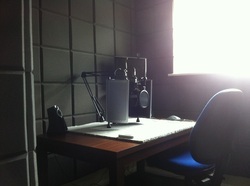 Voice Over Studio Built - Build Pictures! 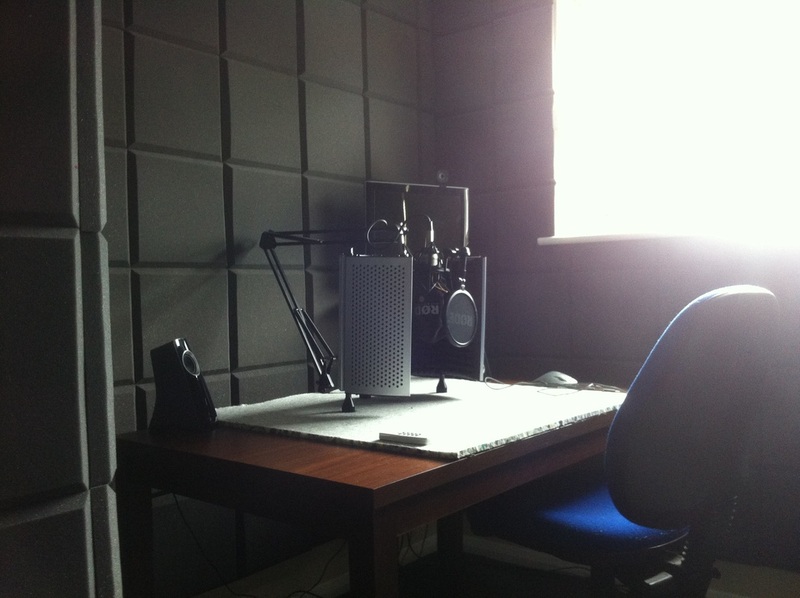 We have recently completed the Build of our Voice Over Studio. 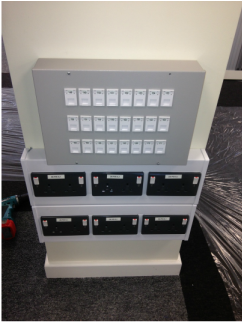 Extra Storage, fully sound deadened & fully featured, remote recording for customers is also possible! 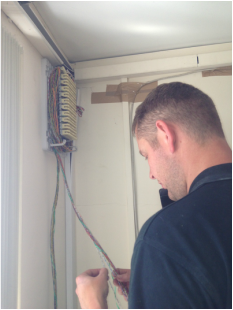 Alex was out this weekend, subcontracting to a National Electrical, Data & Facilities company helping with the Big changeover at Mendip Council buildings - re-route 3 16core fibres & 4 100pr telephone as part of a large 2 year renovation project. last 20 pairs of telephone for that reroute! Zeroaccess Rootkit doing the rounds! A particularly horrible bit of Malware is doing the rounds on windows machines, on Thursday Alex encountered the Zeroaccess Rootkit on a customers computer. It was embedded down in the depths of how the computer accesses the Internet, causing connection problems, redirects (you put something in, it takes you somewhere else or to a different search) and random popups. One nasty thing to remove! It's NOT one we'd recommend a novice to try and sort. Come to us instead. No data loss, no problems! Soft launch of our new website is going live today, please be patient as new content is constantly being worked on and the pages updated, Our new site is just so much better than our temporary page we had to let you know ASAP! 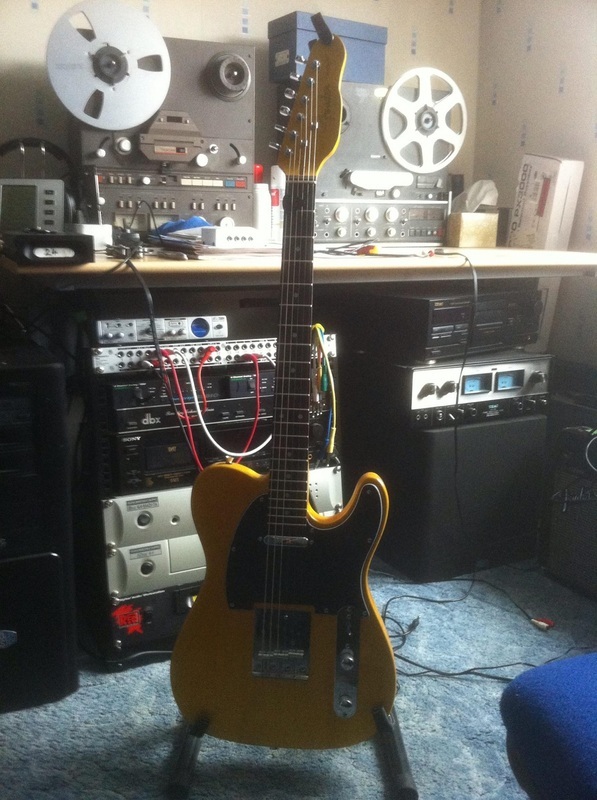 Custom Built Telecaster In Studio 1 - Built by Ken! Phaseshift AV Staff - News and Information!